Republican Chris Christie the Governor of New Jersey sought earlier this week to move beyond the lane closure scandal that is threatening to tarnish his image of being “no-nonsense” ahead of the 2016 presidential election, while federal prosecutors open their own investigation into the case. Christie on Thursday said he was humiliated and embarrassed by how some of his team conducted themselves. He said he ultimately was responsible for what took place and said he and his team let the New Jersey people down. Christie reported previously that members of his staff did not have anything to do with lane closings this past fall that caused huge backups entering the George Washington Bridge. However, after certain documents came to light on Wednesday that members of his administration might have caused the traffic jams intentionally for political retribution, Christie immediately fired his top aide. The governor denied adamantly any personal involvement or knowledge of the lane closures. 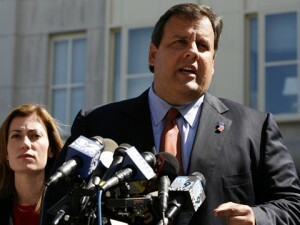 The passionate comment by Christie seems to have satisfied a number of his critics over for the short term. However, it creates a risk politically should any new evidence come to light contradicting his denials this week. New Jersey Democrats in the Legislature promised the release of thousands of new documents connected with the scandal Friday, though allies of Christie are suggesting the worst part of the scandal is now behind them. Christie told reporters he fired Bridget Anne Kelly his Deputy Chief of Staff because she lied when he asked her weeks ago if anyone had known about the episode. He also severed his ties with Bill Stepien his ex-campaign manager, asking him to take his name out of the running to be the next GOP chairman in the state. Documents showed that aides to Christie appeared to have closed the lanes in order to punish the Fort Lee mayor for refusing to endorse the Governor in his recent campaign for reelection. Political analysts believe Christie will survive the scandal as long as nothing new develops such as more incidents that show a pattern of this type, taking place. Christie said he met with Mayor Mark Sokolich and the mayor had accepted his apology. Mayor Sokolich told a local newspaper that Governor Christie made a big step by visiting him in Fort Lee and he appreciated Christie for doing do so.